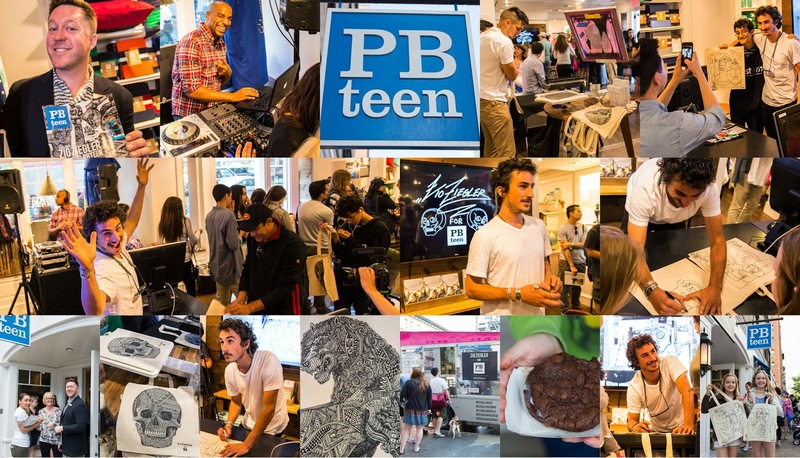 I attended the PBTeen event at 76th & 2nds Ave ,NYC with Zio and had such a blast! To launch the new line of products that they have collaborated on, The store made limited edition silk screened bags with Zio's Skull design and then you could have it customized by Zio himself at the store!!!! If that was not enough they partnered with CoolHaus truck which had amazing ice cream treats! And an AMAZING DJ!! Such a Fun Afternoon!!! check #zz4pbteen on twitter and instagram to see all the fun from the store and event!